Cost Analysis Reviews are conducted by the OSD Office of Cost Assessment to provide oversight of programs to ensure that they are able to deliver on cost, schedule, and performance parameters. All cost estimates and cost analyses and associated studies conducted by the DoD Components for Major Defense Acquisition Program (MDAP) and Major Automated Information System (MAIS) programs are sent to the OSD Office of Cost Assessment for review. During the Cost Assessment review process, the Cost Assessment staff may engage in discussion with the DoD Components regarding any discrepancies related to MDAP cost estimates and comment on deficiencies regarding the methodology or execution of cost estimates. They are also authorized to concur with the choice of a cost estimate used to support the Acquisition Program Baseline (APB). The OSD Director of Cost Assessment and Program Evaluation (DCAPE) provides periodic reviews but also formal reviews required by policy. For programs subject to a formal review (normally Acquisition Category I) and who are approaching a Major Milestone Review or the Full-Rate Production Decision Review (FRPDR), a comprehensive review is conducted. The review will establish a formal position on a program’s life-cycle cost and will advises the Milestone Decision Authority (MDA) on this position. 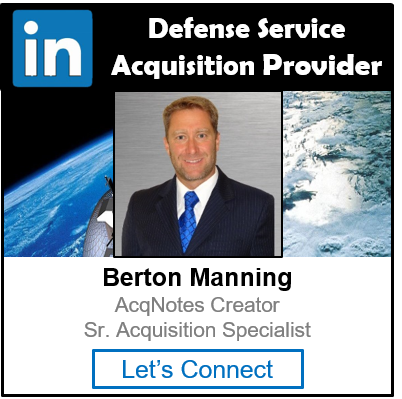 The review consists of the preparation of an independent life-cycle cost estimate, as well as an assessment of the DoD Component Cost Estimate. A comprehensive description of the Cost Assessment review process is found in DoD 5000.04-M, “DoD Cost Analysis Guidance and Procedures,” Section 2. 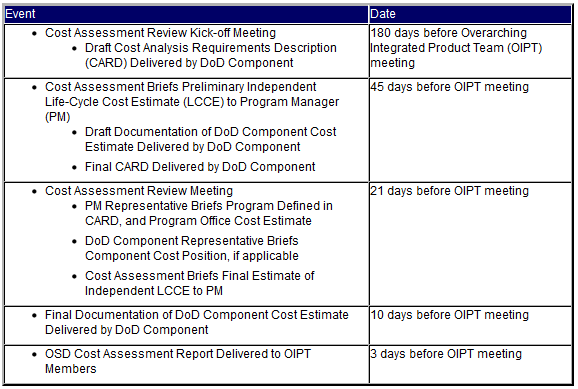 A detailed breakdown of each review; 3 days, 10 days, 45 days, and 180 days can be found at DAU Cost Estimating and DoD 5000.04-M, “DoD Cost Analysis Guidance and Procedures,” Section 2.